The Jewish community in LA vows to take action in the wake of the worst attack on Jews in U.S. history. 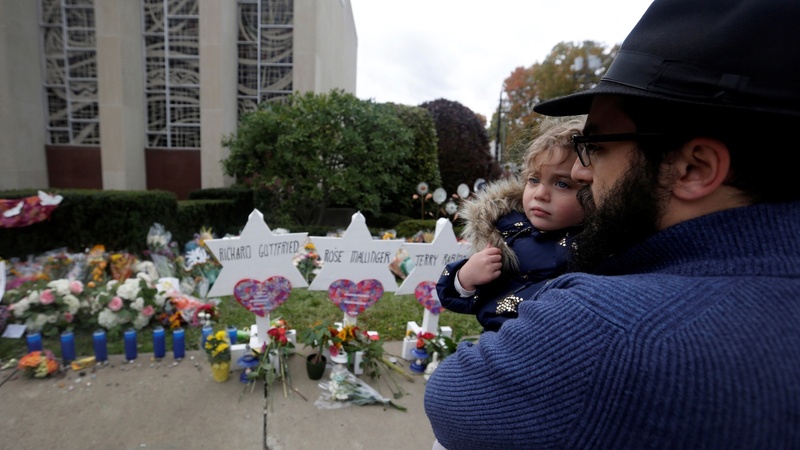 Eleven people were killed at a Pittsburgh synagogue over the weekend. We talk with two rabbis here about how they’re moving forward. How do LA rabbis keep their synagogues secure but welcoming? Nicole Chung was adopted by a white Catholic couple from rural Oregon. Her parents told her that her Korean birth family had wanted to give her a better life.